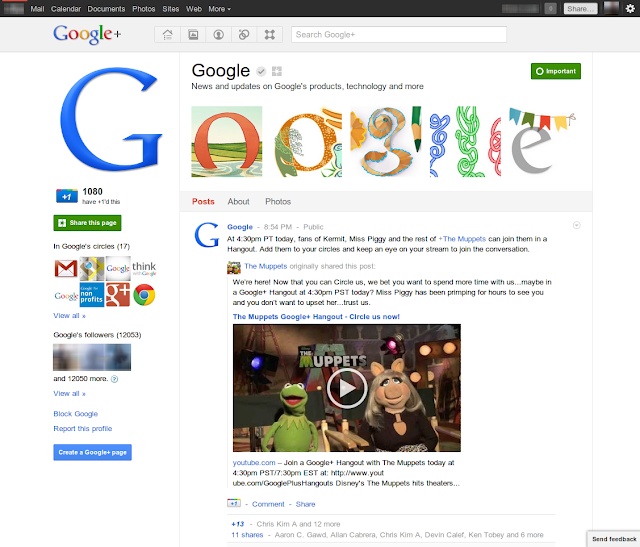 Out of the blue, Google presented the Google+ Pages. This is what companies and brands, as well as projects have been waiting for. A lot of new stuff comes with it. You can search connected pages from Google. At the very moment, it only worked for searching "+Google" which leads you to the Google+ Page directly. Now we know why the "+" operand was phased out of the Google search. In the future, +name will lead you to the specific Google+ page. In addition, businesses can now connect to their customers through this special page. Most of the brands and companies will be very satisfied with this solution. If you now jumping on your chair, keep holding back for a while. It's not available for all now. Some exclusive brands have been added, but for the general use, it may take a little more. A bit unfair, but I'll guess it's about registering your brand name. Not funny if everyone grabs the page-name of your business or brand, I'll guess. I'm curious how this can be handled in the future. Update: Google+ Pages are now live for everyone! Official Google Blog: Google+ Pages: connect with all the things you care...: "In life we connect with all kinds of people, places and things. There’s friends and family, of course, but there’s also the sports teams we ..."